Are you suffering from knee or hip pain and need surgery? 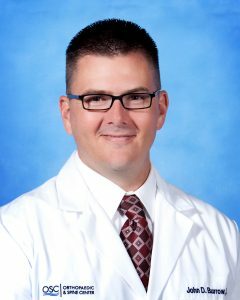 Join Dr. John Burrow as he discusses treatment options for painful arthritis of the hip and knee. Learn about the latest non-surgical and surgical options for relieving pain and restoring function. MAKOplasty, computer-navigation, Jiffy Hip, and other surgical techniques will be discussed, as well as OSC’s Outpatient Joint Replacement Program. Bring a friend, have some refreshments get informed!